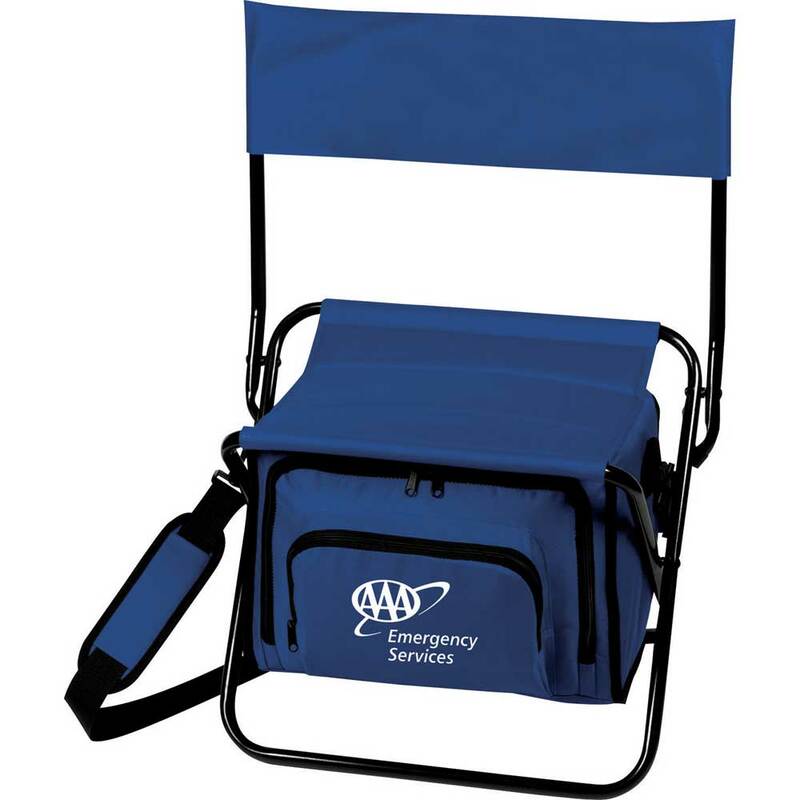 The Folding Insulated 12-Can Cooler Chair has PEVA insulation and a durable metal frame with a padded seat. 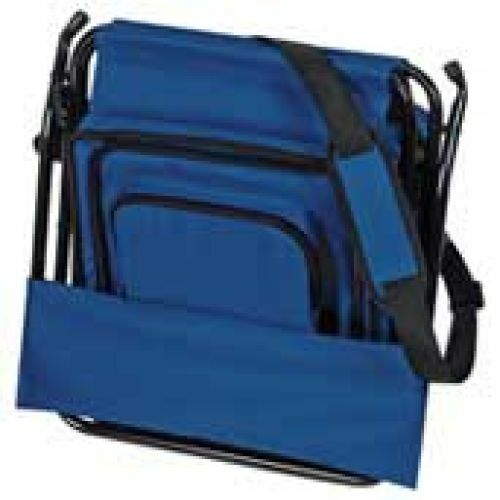 It features a zippered main compartment, zippered front pocket, two back mesh drawstring pockets and a detachable, adjustable padded shoulder strap. It's also collapsible for easy storage. 30 lbs per carton of 6.